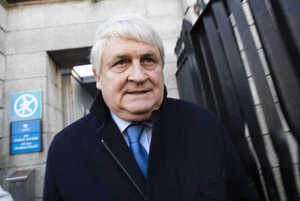 Businessman Denis O’Brien arriving for further hearings in his case against The Sunday Business Post over articles published in the newspaper on March 15, 2015, which detailed a 2008 report by accountants PwC into Ireland’s banks and their top 22 borrowers. Legal arguments are currently taking place without the jury present. 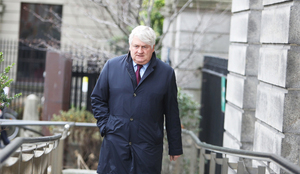 The ‘sheet‘s Olga Cronin is live tweeting from the High Court and can be followed here. 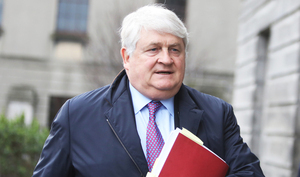 Posted in Misc and tagged Denis O'Brien, Sunday Business Post at 12:31 pm on February 19, 2019 by Bodger. Thanks Bodger and Olga,with Digicel’s largest and most profitable market (Haiti) literally on fire,brand new CEO, prior one appears to have have mental health issues,the founder and largest shareholder is doing damage control to his rep over an article in a paper hardly anyone reads…..
It’s distracting and a waste time,Digicel remains frozen out the bond markets, an IPO is nothing but a distant memory at this point,they continue hemorrhaging cash,but eh good luck against a newspaper that’s most likely going out business. What a strange waste time and resources. Is it true Digicel bonds are back down at record lows, even after that rescheduling of debt? 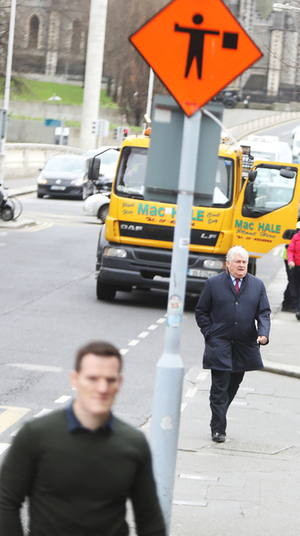 Maybe the SBP should ask for security for costs in the High Court proceedings! Because he’s rich, or is it the chins? Digicel/Dennis O’Brien (see todays papers) has employed x special forces in Haiti. Those arrests look like something out of Hollywood, ex-military armed to the teeth, number plates removed, satellite phones and *drones*, arrested in vicinity of central bank with a pickup truck. What were they up to? Doesn’t Haitian central bank still have a few $100m in currency reserves and gold? “A country is so desperate for healthcare that it’s forced to revolt against its own government. A city filled with broken glass, burning tires, and businesses looted, their contents spilling over into the streets. And a group of volunteer nurses, trapped by literal barriers from the very airport that could give them their freedom. It’s a extremely serious situation in Haiti,the outcome will determine Digicel’s future,which ain’t looking too good right now. Did he arrive on the back of that flat-bed truck this morning? This is day #7? The legal costs would be what at this stage, on both sides? €100,000? The SBP is living hand-to-mouth as it is; will this finish them off or provide an excuse for the new owner to close it? That would kill two birds with one stone for Denis, he’d get rid of a Sunday rival to his Sindo, and would destroy one avenue for those pesky journalists to expose his dealings. 25K per silk per day. Plus VAT. His good name is like his thin neck. That overcoat is damaging to his good name. Did he get it in Dunnes? The absolute state of it. in fairness, they were out of XXXL. Love to see his daily Fitbit step count. Must be at least 100. Great reporting from Olga at the hearing. 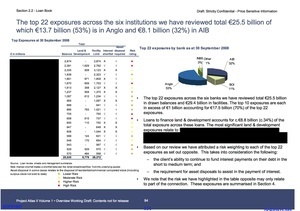 Didn’t Denis pay more than €500 million for his 30% stake in Independent News and Media, publisher of the Indo and Sindo. Isn’t that stake currently worth less than €30 million on the stock market. If Denis did borrow to build up that stake, then, it was at the very least unwise, was it reckless? oh right then….’sposed be bad luck change a boats name….